Irom Sharmila, since she was a teenager has been demanding removal of armed forces from India’s North-East for last 15 years. The country and in fact the whole world has recognised her struggle and sympathised with her demand. But no government has tried to open a dialogue with her. The same governments talk to the extremists. In the past, we have seen governments talking to the armed insurgents but they have not talked to Irom as they do not have answers to her simple questions. 15 years back, Irom Sharmila has started her fast in Manipur on 4th November after a heinous act of violence. The government has never bothered to address the issue Irom has been raising. In stead, she has been forcefully nose-fed all these years to keep her alive. In these 15 years, she hasn’t eaten anything from her mouth. She stays in a secluded room inside the hospital where nobody can meet her without govt permission. She has several cases against her in Delhi for which she has to travel to the capital occasionally. 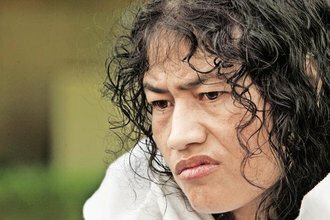 Irom has her moral high despite the extreme physical pain and torture. She stands strong with her questions, posing a huge challenge before the state. Her every passing moment is a protest. Despite being under siege, Irom’s resolve is indefatigable. Her struggle is to protect the human rights of the common people and uphold the democratic values. It is our duty to take her struggle to its culmination. We demand a total revocation of AFSPA from the entire North-East at the earliest! Please join us in voicing the silent but roaring struggle of Irom Sharmila.